We are just beginning to understand the impact of video games on child development and behavior. Never has our culture been so immersed in gamification. Games like Minecraft and Fortnite have become part of social culture. The American Academy of Pediatrics has documented that violent videos games cause children to show a greater propensity to be aggressive in real life. Frequent gaming also results in poor grades and a difficult relationship with parents. So how can we protect our family from ... See More gaming addiction? 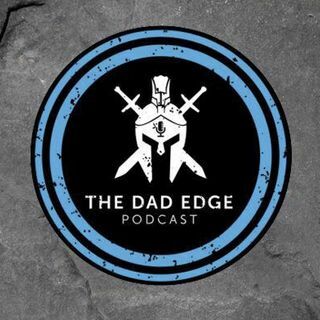 Today we are grateful to have Cam Adair from GameQuitters.com back on The Dad Edge. He is a former gaming addict who now helps kids and their parents find solutions for gaming addiction. He tells us how we can set healthy limits and boundaries around video games, and what activities we can implement into our daily lives to make sure our kids are fulfilled and less susceptible to compulsive gaming. For the show notes and exclusive links mentioned in this episode go to gooddadproject.com/206. ———— Join the Free Dad Edge Facebook Group at gooddadproject.com/group. Apply for The Dad Edge Alliance at gooddadproject.com/alliance.